We know you could go any number of places for your hearing healthcare needs. So, while we have you here, let me tell you what makes us different. 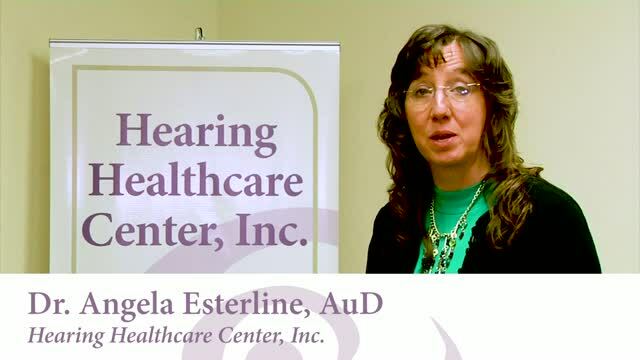 I am the only independent doctor of audiology in the Evansville area. As such, I am allowed to put people before "procedure". We work with a variety of hearing aid manufacturers and we offer individualized services for your hearing needs. We let you feel like a person, not a number. Closed daily for lunch, 12:00 p.m. - 1:00 p.m.
Walk-in Hours: Wednesday, 10:00 a.m. - 12:00 p.m.
"WOW was I impressed...Dr. Angela took the time with my mother and explained her services that are available. She cleaned the wax out of one of my mom's ears...I want everyone with hearing issues to know about her!"